These days, building your dream house is more complicated than ever. When in the past you can just stake out an empty lot and declare it as yours before gathering the materials you will need to build a crude house, you now have to go through a number of financial, bureaucratic and architectural loopholes in order to construct your home. Home owners are also confronted with more profound questions as they decide on the perfect design for their house. Will they opt for eco-friendly materials, or go for the more conventional stuff that’s found in every other house in the neighborhood? Can they design the house in such a way that it is energy-efficient and well-adapted to the natural landscape of the area? But most importantly – can they even afford to incorporate these earth-friendly design elements? People mistakenly think that building a green home is more expensive and time-consuming than constructing an ordinary brick-mortar-glass affair. However, this couldn’t be farther from the truth. Green building is catching up with the housing industry to provide more energy-efficient and beautiful homes for everyone. A lot of building contractors, architects, engineers and interior designers have also started joining in the bandwagon for environmental conservation and protection, and for good reason. 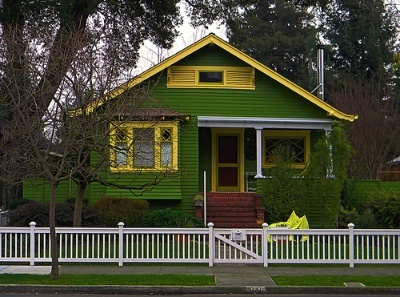 Green homes are safer, healthier, and less expensive to maintain and operate. It is the most advantageous trend for mainstream construction in the near future not only because of its intrinsic benefits but also due to the federal and state incentives that come with it. Heating and cooling – Perhaps you’ve never considered that you can build a house without having a furnace or radiator somewhere providing heating during the winter months. The good news is that the latest advances in applied building science in the US have shown that we can now actually make a furnace-less, ductless house a reality. The secret lies in putting in thick insulation in the walls and ceilings so that the home is heated from within through the everyday activities of the occupants, such as cooking and computer use. That means that you won’t have to pay for your heating, even in the coldest months of the year. Passive solar design – Still another way to cut down on your heating and cooling costs is to use smart design ideas to make your home cooler or warmer, depending on the season. All you have to do is to effectively control solar energy as it goes in and out of your home. Therefore, it is necessary to check on your window placements, building orientation, flooring, roof overhangs and reflective screens. This allows you to encourage natural ventilation throughout the house and keep the interior within a comfortable temperature range. Water use – Building a green home also means making your house better-suited to the weather in your area. Maintaining the natural flora (and even adding to it) already goes a long way towards environmental protection. You can also install rainwater catchment systems to store the water that flows off your roofs and gutters. You can use the water for gardening or cleaning your driveway instead of using a hose or sprinkler system. Finally, you can try low-flow toilets and shower heads to dramatically decrease your water use inside the house. Recyclable or renewable building materials – Having a beautiful home doesn’t necessarily mean that you have to use all brand-new materials, from the windowpanes down to the tile flooring. You can check out construction sites for materials you can still put to good use, such as broken paving blocks for your garden or old wooden planks for your deck. These materials are just as durable and beautiful as the brand-new items in your hardware store, but they cost so much less. Go all out and consider using alternative, nature-friendly building materials such as straw bale or rammed earth.